With the craziness surrounding Tokyo Game Show 2018, Koei Tecmo held a stage event promoting the upcoming release of Nelke & the Legendary Alchemists: Ateliers of the New World. The latest entry in the long-running Atelier series from Gust is designed to celebrate the 20th anniversary of the series. 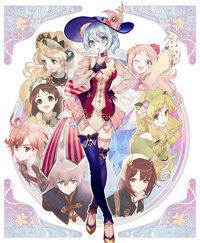 As such, in the video, we get a good look at all the different protagonists that appeared in past Atelier entries including Marie, Elie, Shallie, Rorona, and more.